To visualize the different types of kitchens to choose from for a real estate project. 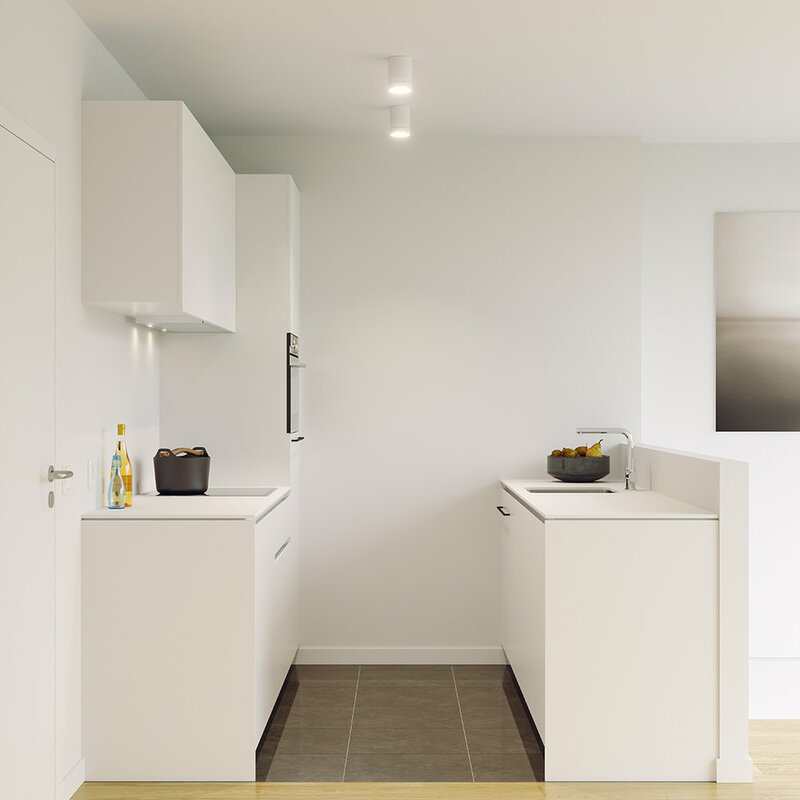 For real estate project Quadrian in Brussels, customers can choose between different kitchens made by Liedssen for their new flats. In order to help them visualize the different options, Belly created 3D models of the various kitchen set-ups. 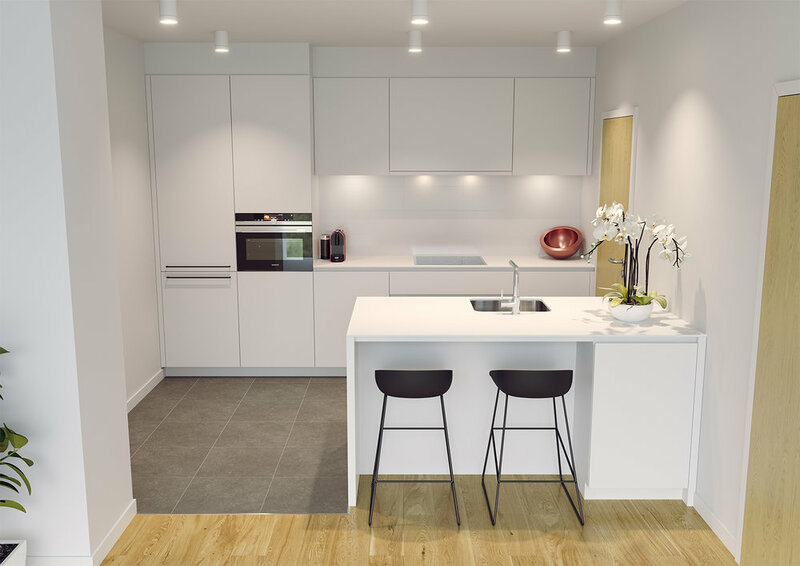 From L-shaped to parallel working spaces, Belly whipped up some cool visuals of the different kitchens so buyers could check their options in one glance. 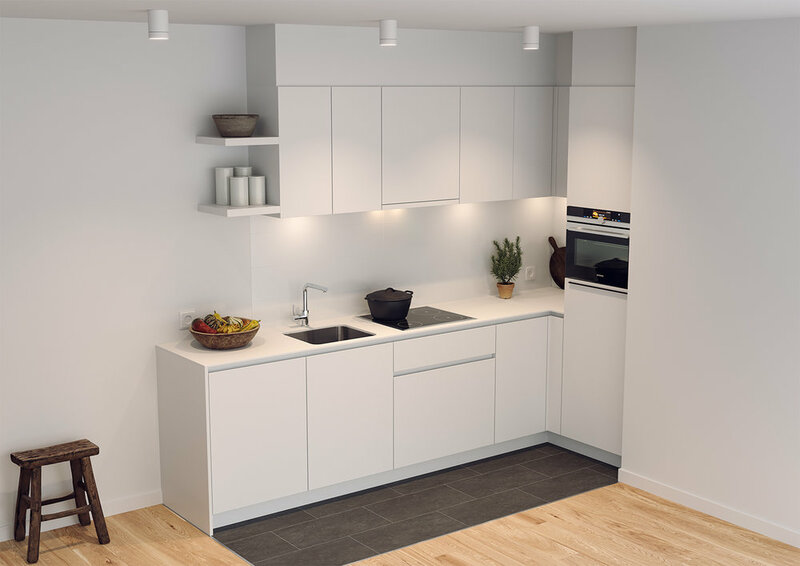 The visuals show bright, white modern kitchens which are beautiful, well-designed and highly practical. By adding little personal touches like a fancy casserole on the stove, some wooden kitchen utensils on the kitchen top, or a fancy espresso machine just waiting to be used, we managed to create a highly welcoming, homely vibe.